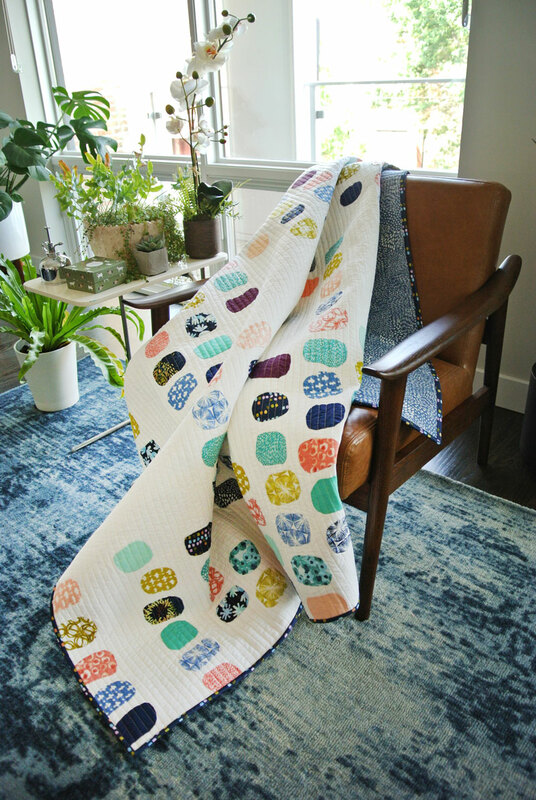 ​Hey quilt peeps! I'm gonna make this post short and sweet cause it's Sunday and I gotta brunch (But first, a moment of honesty – even if I go with people who "brunch" I most definitely ate breakfast the second I woke up. Breakfast is the best and no group of trendy urbanites is going to convince me otherwise. Now where was I?). That's right! 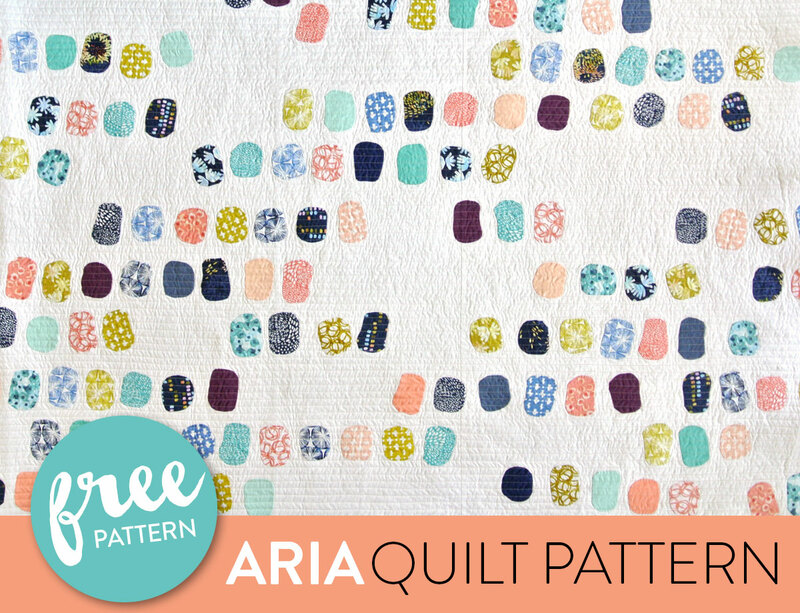 I want you to have this Aria quilt pattern PDF for free.​ Yippee! As you can see below, I used a 14" wooden hoop to stabilize the quilt top. I did not want the raw edges of the fabric to show, so I used a (time-intensive) technique called needle-turn appliqué​ to sew the fabric pieces. If you would prefer to use raw edge appliqué, dimensions for those templates are also included in the PDF pattern - see link below. 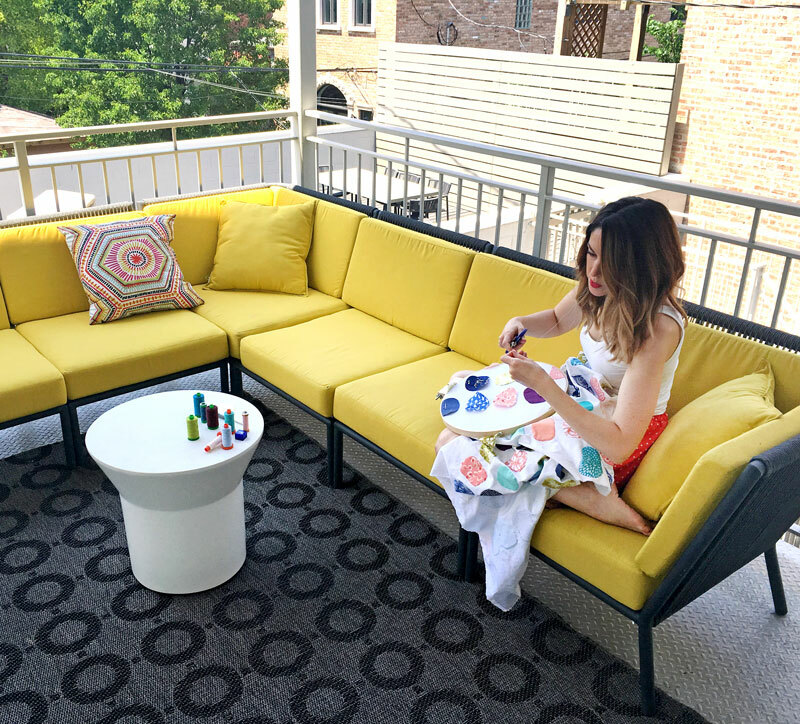 ​I can't think about this right now because it is currently 7-degrees here in Chicago, but once upon a time it was summer...ahhhh....and summer is the perrrrfect time to start a needle-turn appliqué project. 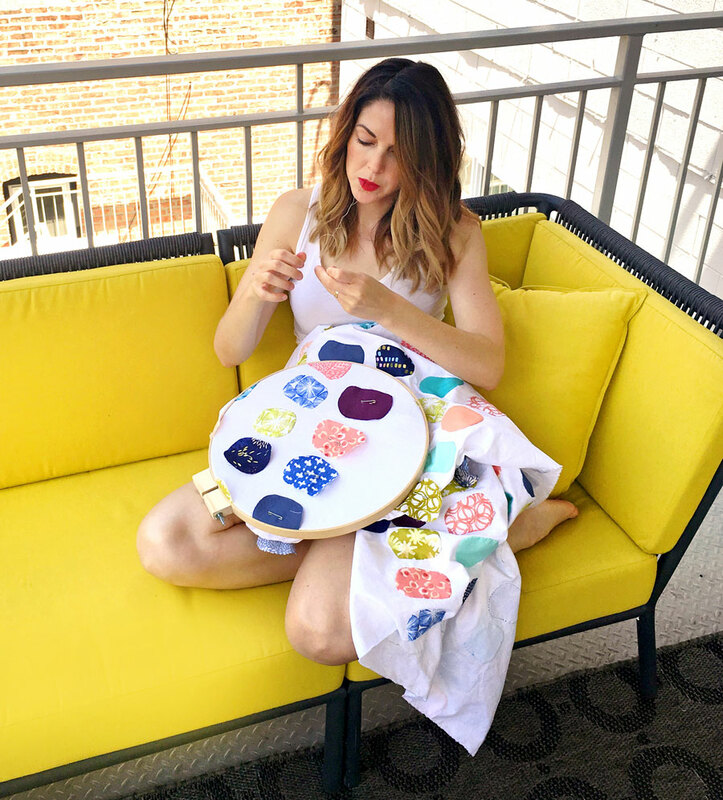 ​You might be thinking to yourself, "hmmm...appliqué...I only sew straight lines and this seems like something only advanced quilters do." 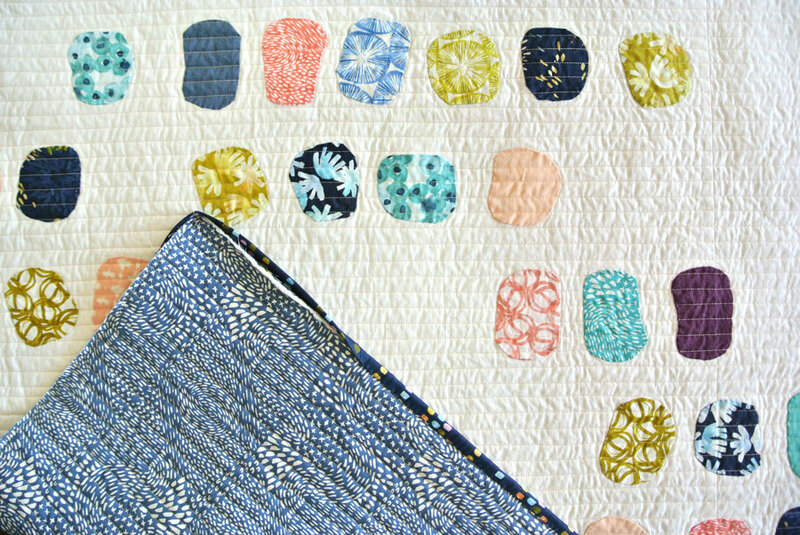 I didn't try needle-turn appliqué until I made this quilt and if I can figure it out, (You know what I'm going to say...) so can you. Let me backtrack –this past summer Kelly Ventura (an amazing watercolor artist that you should check out. 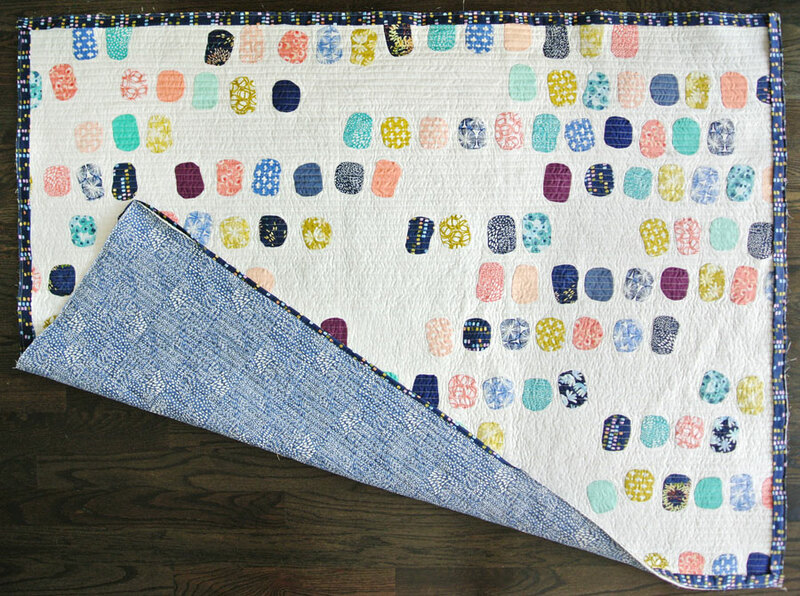 )​ asked me to make a quilt using her new fabric line - Aria. I wasn't so sure about this Kelly girl, so I said, "no." 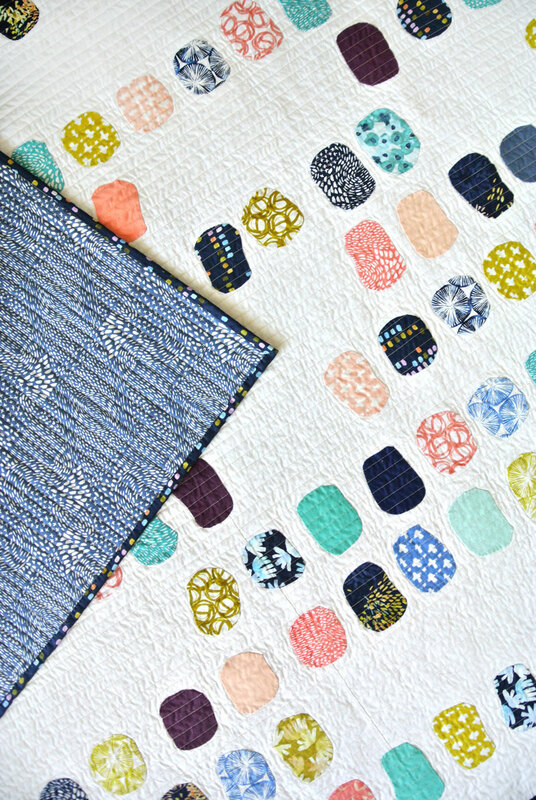 Her main print is based on dabs of paint and she was hoping that I could mimic that somehow as a quilt.​ This quilt design popped into my head immediately followed by this thought, "Suz, you gotta do needle-turn appliqué. This design will go from 50% to a 100% if you can figure out how to pull that off." And that's when YouTube came in. I'm a firm believer in not letting my skills or lack of skills limit my creativity. If I were to let that happen, I'd still be sewing 9-patch quilts all day. So when it comes to designing new quilts, I sketch and say YES to everything. Once I land on a design that I think is a winner, I dissect it and figure out the logistics of how it's going to get done. In this case, I needed to learn needle-turn appliqué and then sew 165 "paint dabs" onto a quilt top. Easy peezy! I know that sounds like a joke, but this technique really isn't hard. It is, however, very time consuming. I spent a lot of time listening to audio books and watching low-qual shows on Netflix. In the end, it was worth it. 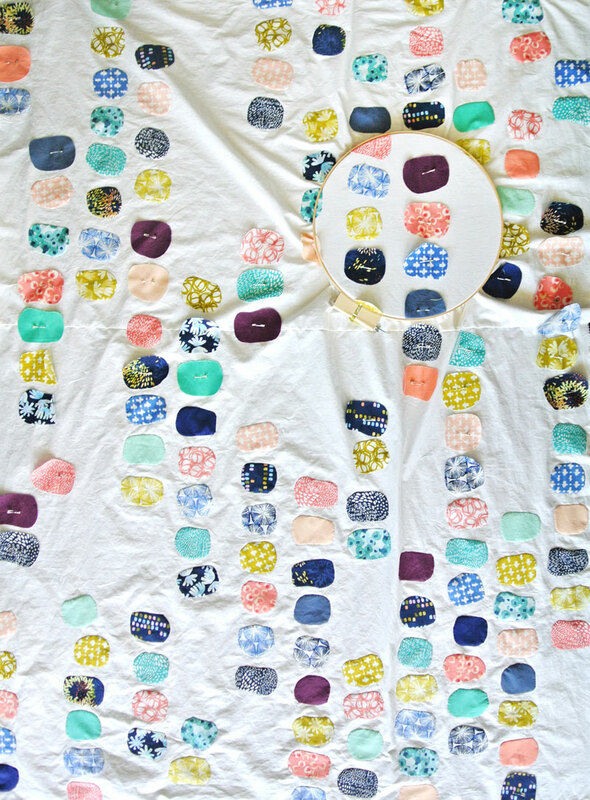 Kelly spent a LOT of time creating a beautiful collection of fabric – I wanted to be sure to do it justice. Above is another classic – me, standing on top of my dining room table, photographing a quilt. You gotta do what you gotta do to get that perfect picture, AMIRIGHT? 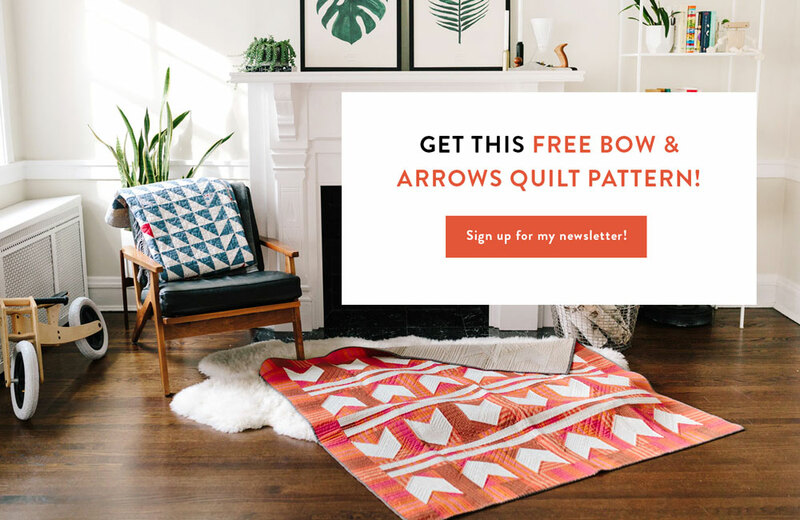 ​And now for the entire reason you clicked on this blog post – Download the FREE Aria quilt pattern PDF here. OK, time for brunch. Later gators! 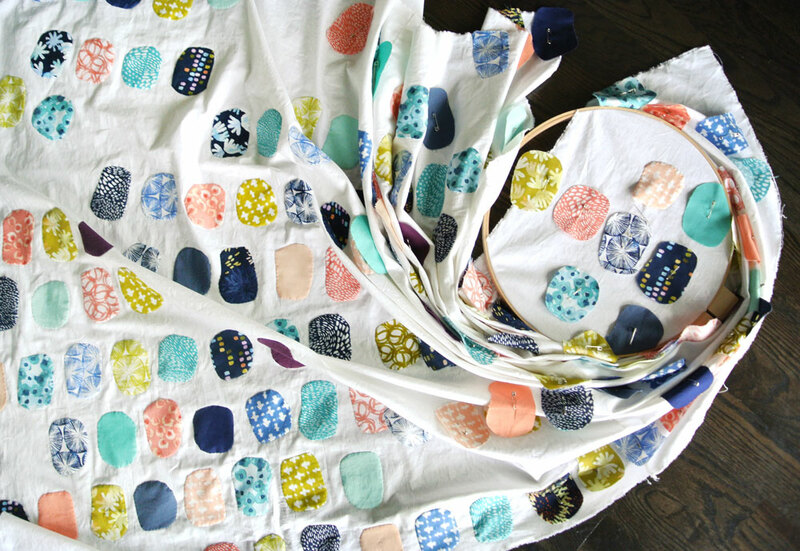 Leave a comment below if you have any needle-turn appliqué tips or projects you would like to share. 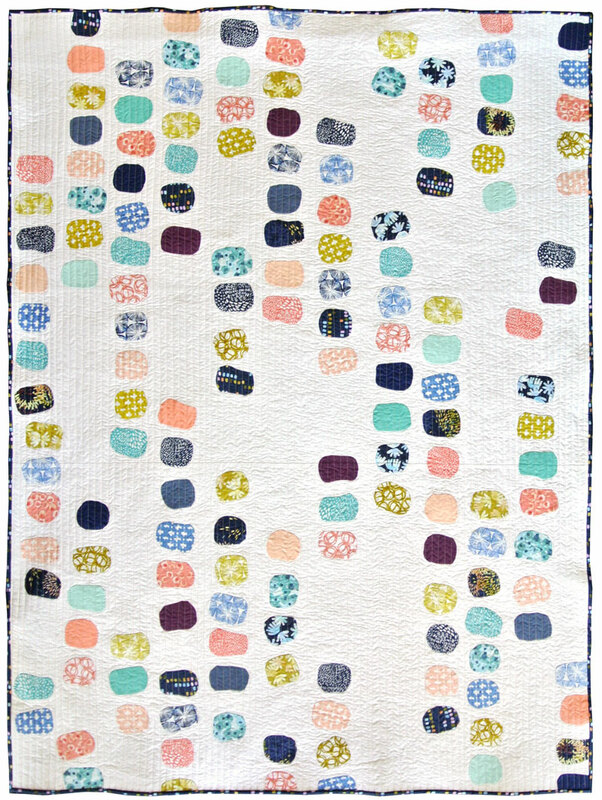 Also, if you make this Aria quilt, please oh please let me know! I'd love to see your version. Oh it’s divine! I’ve just learned needle-turn applique myself, and am addicted. I love the way you write, I always feel like I am sitting having a coffee and a chat with you. Thanks for the Aria pattern, the quilt looks beautiful. I have never tried needle turn appliqué, but am keen to try, am just discovering Foundation Paper Piecing at the moment and that is quite addictive too. Happy Birthday(belated) Suzy! Your quilt is amazing. I have never heard of needle turn appliqué. What exactly is it? Love the fabric too. Thanks for sharing. Merry Christmas. I love this! But I can’t find the solid colors in the Aria fabric line. Did they come from a different line? Thanks! I just checked the link and it’s still up and running. Trying using a different web browser to see if that fixes the problem. Me & my giant hoop await your answer, thanks! 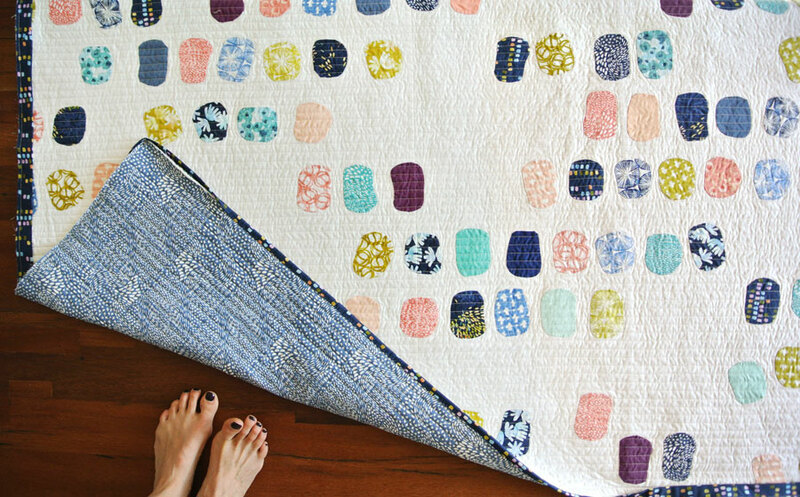 I have admired this quilt for awhile now and finally printed the pdf, on the road now. Do you mean there are people that do NOT stand on the dining table or the ironing board to get a good shot of the quilt??? Huh! Thanks bunches and I will send pics of mine, it’s in the queue.